by Richard B. Joelson, DSW. Category: Help Me!, Newsletter Articles. I have always been curious about an experience often reported by people describing their visits to medical professionals. Understandably, for some, visits to the doctor are anxiety-inducing experiences, especially when there is a need to discuss significant discomfort or an already-diagnosed chronic illness. Many would agree that their very presence in the doctor’s office for a medical examination causes some degree of regression and general unease. “White coat syndrome,” often resulting in elevated blood pressure readings, is a common experience and something taken for granted by both doctor and patient. 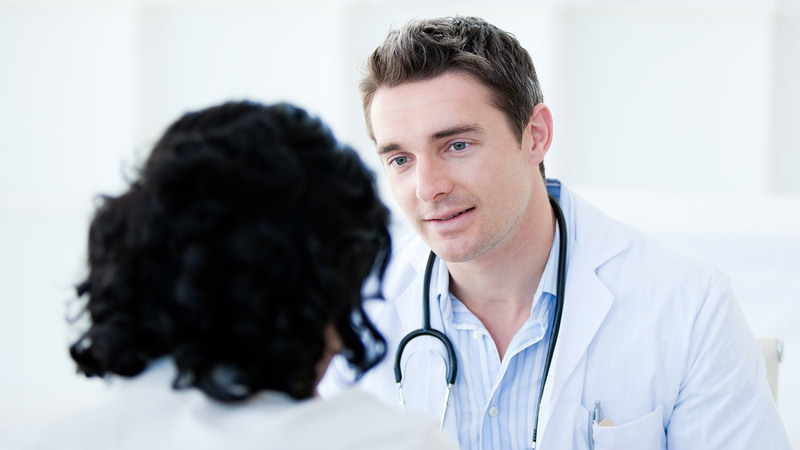 Many people express displeasure with the brevity of their medical appointments and the resulting limited opportunity to discuss their complaints with their physician. These complaints, frequently, may be more about their emotional issues than their medical condition. For many patients, their doctor is the only one with whom they share personal information of any kind and they may rely on their doctor’s response to help them determine the seriousness of their medical or physical complaints. Dr. Frankel went on to say that the interviewing habits of many doctors do not allow most patients to get that far. The research findings suggest that when patients control more of the doctor-patient conversation, being insistent enough to bring up everything on their mind, they often have better medical outcomes. Several years ago, researchers at Tufts University found that a twenty-minute “coaching session” for patients while they waited for their physicians had positive health effects. Those with hypertension and ulcers, as well as a group with diabetes, fared better than the noncoached patients. In the coaching sessions, patients were helped to determine their agendas and offered techniques for overcoming embarrassment, anxiety, or timidity in talking with the doctor. Research findings revealed that the coached patients were much more effective in both giving and getting information in their communication with their doctor. Coached patients with hypertension had systolic blood pressure readings 15 percent below their earlier readings, while those with diabetes had 12 percent lower blood glucose readings. These findings suggest that the more assertive the patient is, the more likely he or she is to feel heard and understood, fare better medically, and come away with a better understanding of the information given by the doctor. This post was originally published on February 9, 2011 and revised on December 20, 2017. An updated version of Patient-Doctor Communication is included in my new book, Help Me!. More information, including the table of contents, reviews and purchasing information is available on the Help Me! page. How Could They Have Said That? Receive all new articles, commentaries and updates on events and my book directly to your inbox. All content copyright © 2011-2019 Richard B. Joelson. All Rights Reserved. Essays are not available for reprinting/reuse without express written permission. Please contact me to obtain permission. As you may know, up until May 2016, this article was freely available to the public without registration. Now, however, this article and many more are available in edited form in my new book, Help Me!. I was advised during the publishing process to completely remove all of these articles from this site, but it’s very important to me that these articles stay accessible to the public in their original form, to help those in need and to help increase understanding. Therefore, I’m requiring you to take a moment and register with this site to be able to access all of the restricted content on this site, for free. If you’d like, during registration you are also welcome to sign up for my mailing list, which will allow you to receive all new articles and commentaries posted to this site in your inbox automatically. Some of my most popular posts do not require registration at all. If you have any questions or comments, please don’t hesitate to contact me.